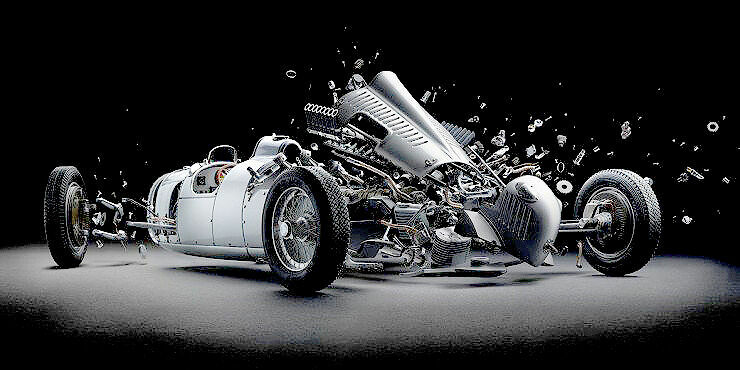 Some of the world's most iconic cars appear to disintegrate before your eyes in a series by Swiss photographer Fabian Oefner. 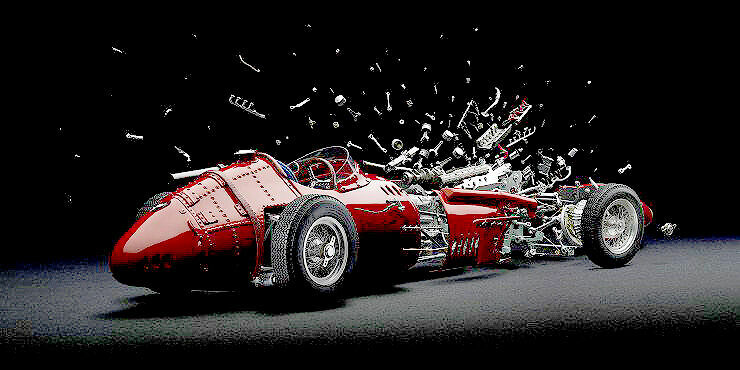 Disintegrating II is the second part in the series, where high performance race cars appear like they're exploding apart, their nuts and bolts and inner workings flying in all directions to create surreal images. 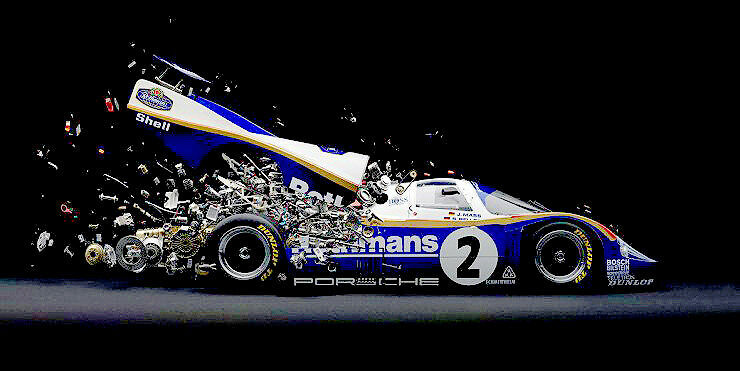 Although they look like they're entirely digital creations, Oefner actually spent a couple of months photographing the various components of each car. And the detail and stunning visual results are incredible. These include a Auto Union Type C, Maserati 250F, Bugatti 57 SC, Ford GT40, and Porsche 956. 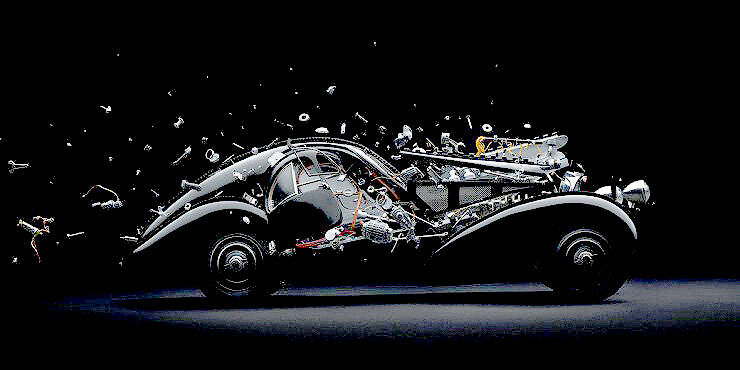 Oefner deconstructed scale models then photographed each piece in various positions, then composited the images together to make the cars appear like they're breaking apart. Check the video above for more on how he did it. "This stunning photo series involves fooling the observer into seeing the images as computer-generated renderings rather than the real photographs that they are." says M.A.D.Gallery where the images are currently on show in Dubai. 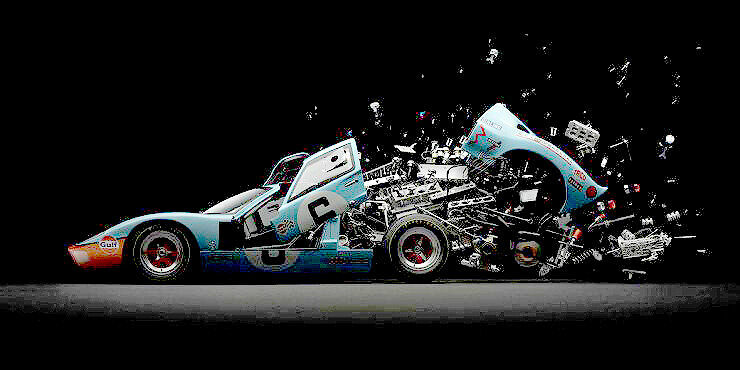 “Disintegrating Series is a suite of photographs of high performance cars that appear to have blown apart." notes Oefner on his website. "The series explores essential questions abut the relationship of time and reality, ultimately creating a visually rich rendition of a moment that never existed." You can check out the images below. And head to Oefner's website for more of his work.